Combine lamb mince, lamb sausage meat, cooked onion, Dijon Mustard and pepper. Mix well. 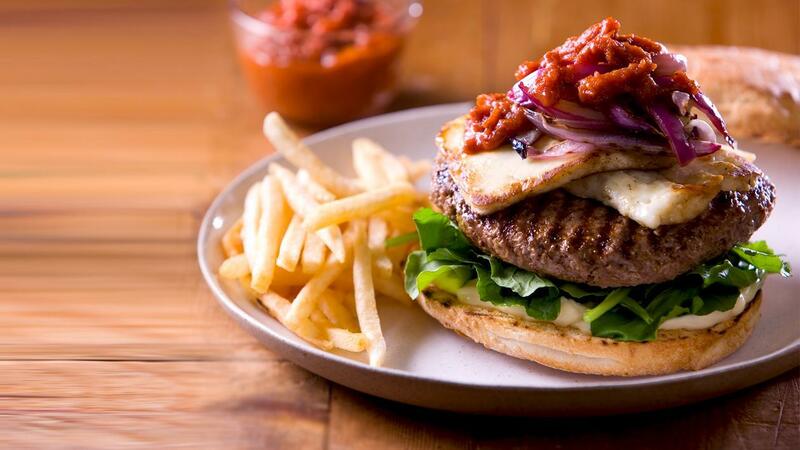 Assemble the burger in the following order - toasted bottom burger bun, Lady's Choice Real Mayonnaise, rocket, lamb patties, haloumi cheese, grilled onion, Knorr Napoli Sauce and finally top burger bun.